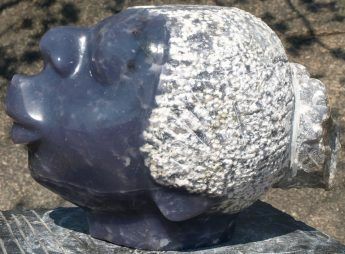 Arthur Fata joined Guruve’s gallery of Shona sculpture in 2012. 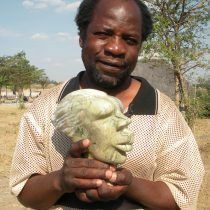 He is already a well-established artist, part of the so-called ‘second generation’ of Zimbabwean sculptors, with a reputation for experimental work. 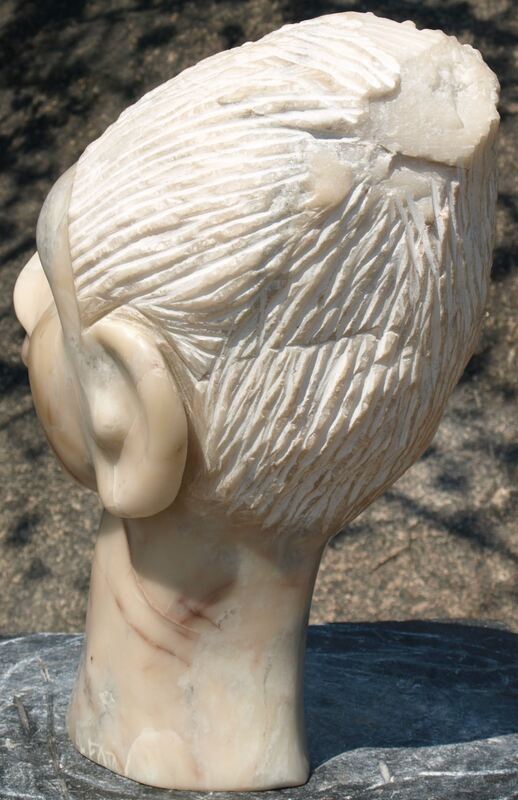 His confidence with a chisel shines out of this wonderful piece, with its exaggerated but elegant facial features. 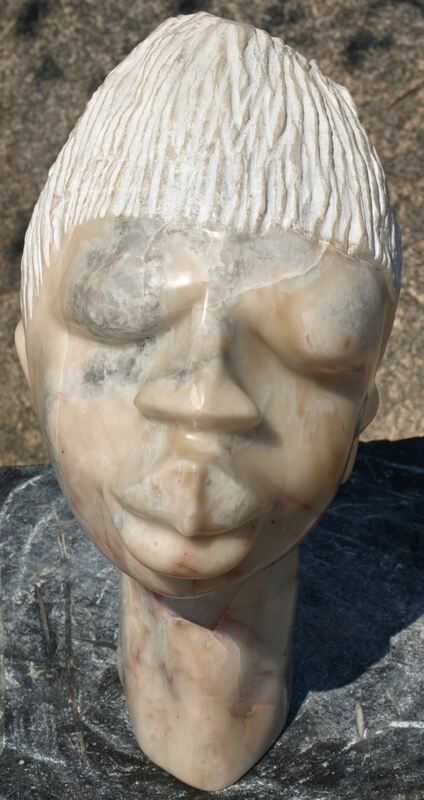 Marble is rare medium in Zimbabwean sculpture. 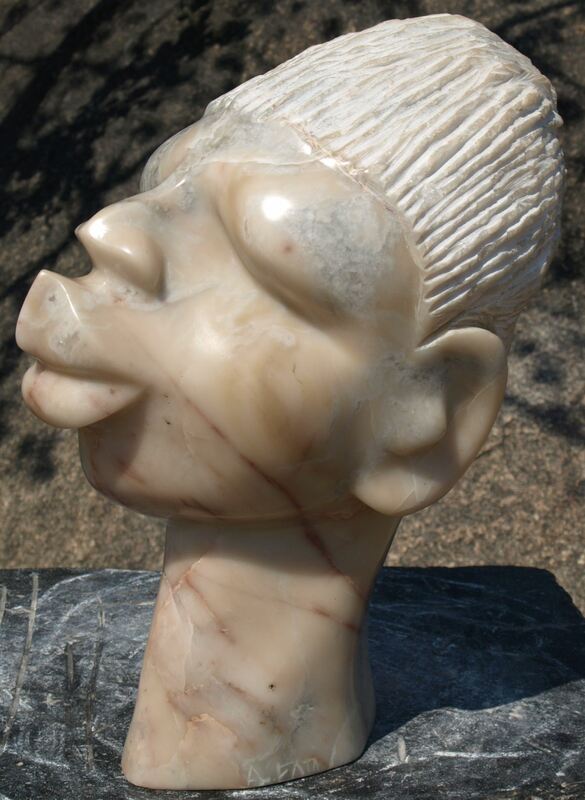 It is mined in Zimbabwe and is as hard as the Italian varieties. 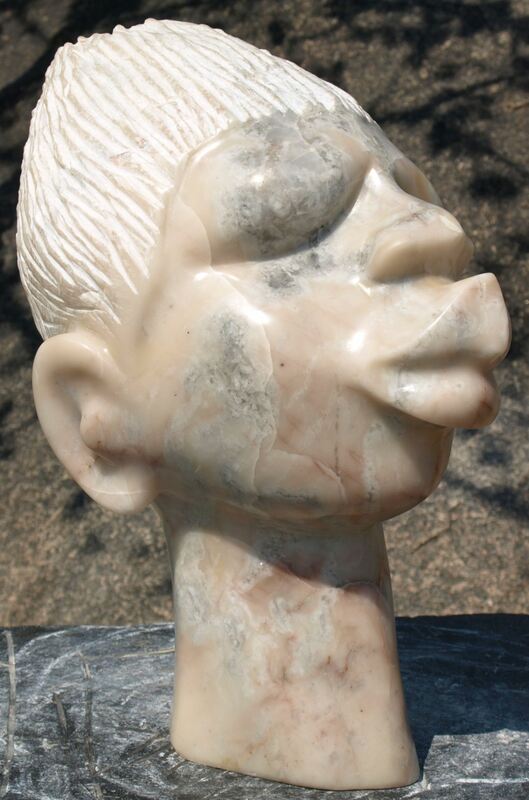 Pink marble is very unusual and makes this sculpture a real collectors’ piece.